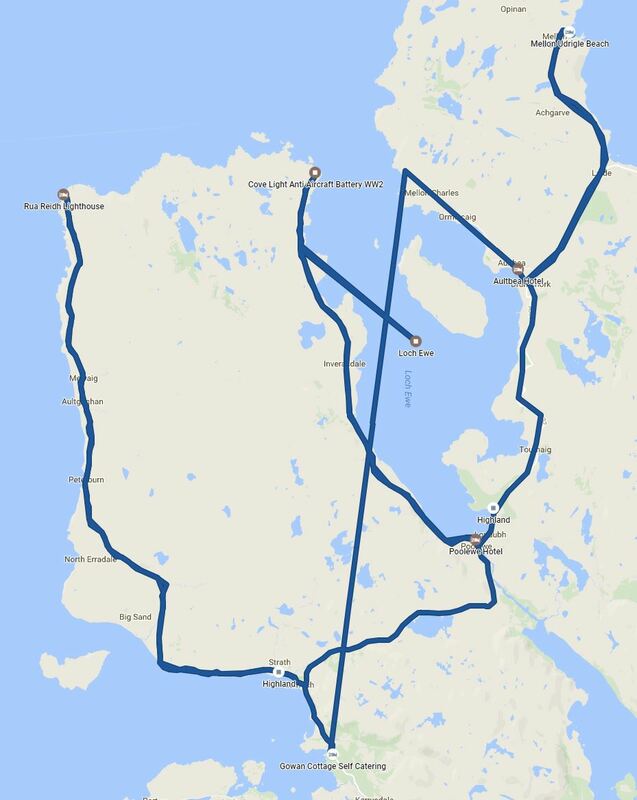 OK – spot where the GPS tracking went a bit wonky – I can confirm that there were no helicopter flights or swimming in Loch Ewe. After a lovely breakfast at the Charlestown House B&B (I heartily recommend the scrambled eggs with smoked salmon) we headed off exploring on our own as our friends were off shell-fishing. 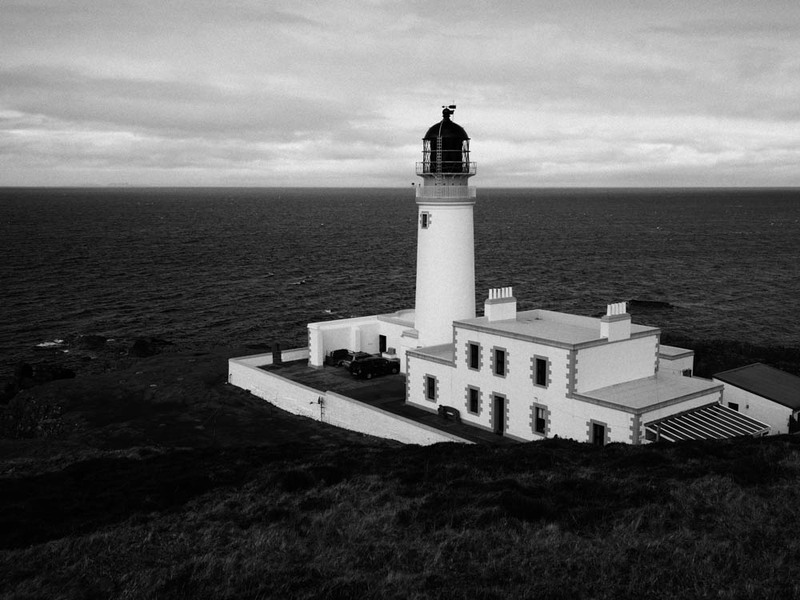 We (I) decided to head north west along a very narrow single track road to the Rua Reidh Lighthouse. Seriously this road is just wide enough for a car! From here we headed back down into Gairloch and time for tea and a scone (noticing the trend here) at the lovely Mountain Coffee Company. We say in their conservatory and relaxed. 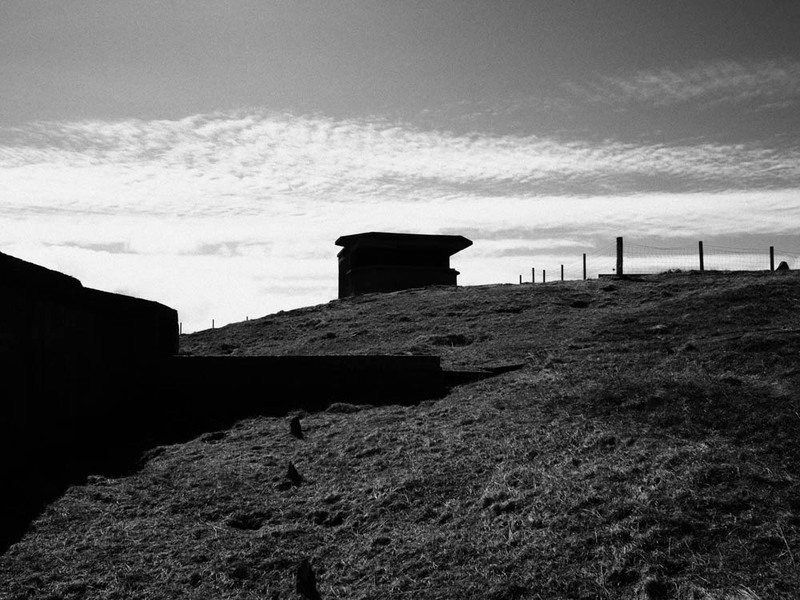 From there we headed to the north east corner of the peninsula and the Cove Light Anti-Aircraft battery. This was used in WW2 to protect Loch Ewe which was a meeting point for various convoys. The views from here were STUNNING! It was time for tea again so south to the Poolewe hotel then a quick rendezvous at Inverewe Gardens before heading to the STUNNING Mellon Udrigle beach. It was tempting to jump in for a swim – maybe if we had been there earlier in the day. Time for dinner at the Altbea Hotel with fantastic views over Loch Ewe to the Isle of Ewe before retiring back to the Charlestown House B&B for a well deserved drink before bed.